Montepulciano is the most widely planted red grape variety in the Abruzzi region of central Italy. 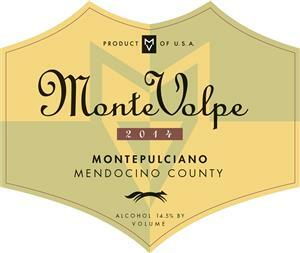 Our Montepulciano, which was the first to be produced in California, is produced from grapes grown in the eastern foothills overlooking the Russian River above the Ukiah Township in Mendocino County. This wine was aged for 24 months in 25% new French Burgundy oak barrels, Classic aromas and flavors of ripe berries and earth make this a perfect wine for wild game or roasted meats.